Can Knockdown for iOS brings the all time favourite carnival game to your iPhone and iPad in a graphically satisfying multiplayer enabled free download. Check out the most addictive and FREE game on App Store and become a cold blood sniper while aiming at and knocking down piles and pyramids of cans! Start playing and you just won’t put down this marvelous title till you drain your battery empty! You have been warned! They’re not kidding, Can Knockdown is an incredibly addictive game that will have you playing for hours trying to beat your own personal score and your friends. Being hooked into GameCenter means you can challenge your friends to beat your own score, as well as beat theirs. 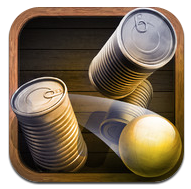 Using just one finger, you simply swipe a ball towards a stack of cans to knock them over. You have a set number of balls, with one regenerating every level you complete. Some levels even yield an extra ball as a bonus. 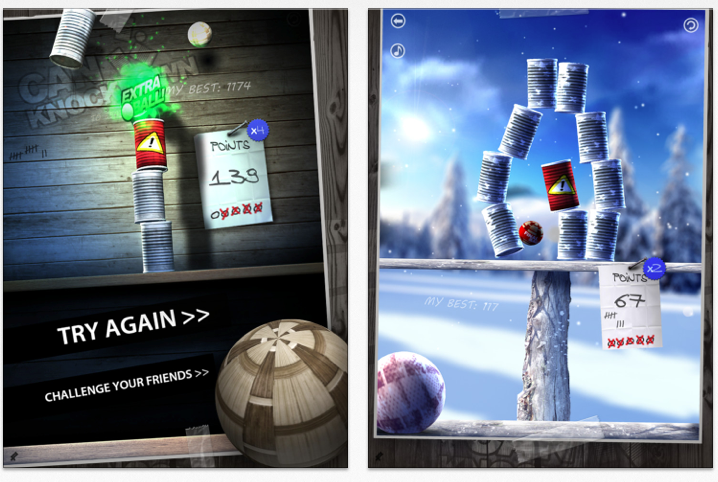 Can Knockdown includes many astonishing features which will amaze your friends and make you come back for more! Online leaderboards via Game Center, absolutely gorgeous graphics, high-res Retina display support, unique and realistic physics engine, multipliers, explosive action and so much more! 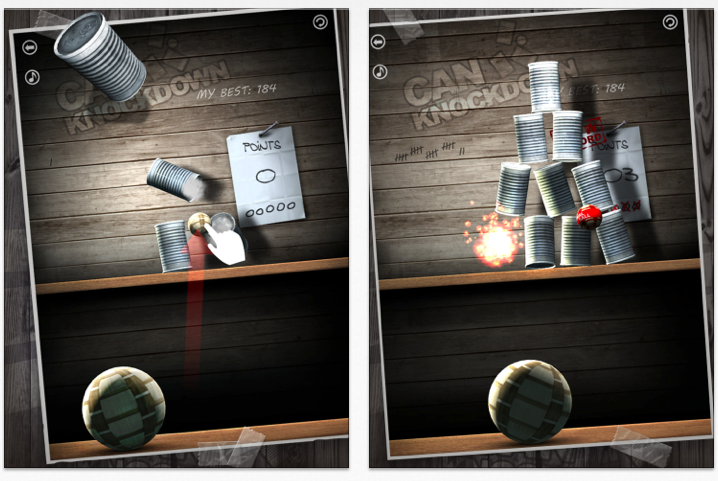 Can Knockdown is like a miraculous carnival fun fair – only better! Being such a simple control mechanism means this game is one of those ‘pick up and play’ games. The graphics of the game look great, with the motions of both the ball flying and cans being knocked over very fluid. A frustrating aspect of the game, however, is there is no sense of power that the ball is being flicked with, so it is hard to establish exactly where the ball will go and if the next shot needs to be harder or software. Perhaps this will just come with practise, but overall Can Knockdown is a very good game, and I definitely recommend giving it a try by clicking this link.